Posted on August 16, 2005, 22:54. 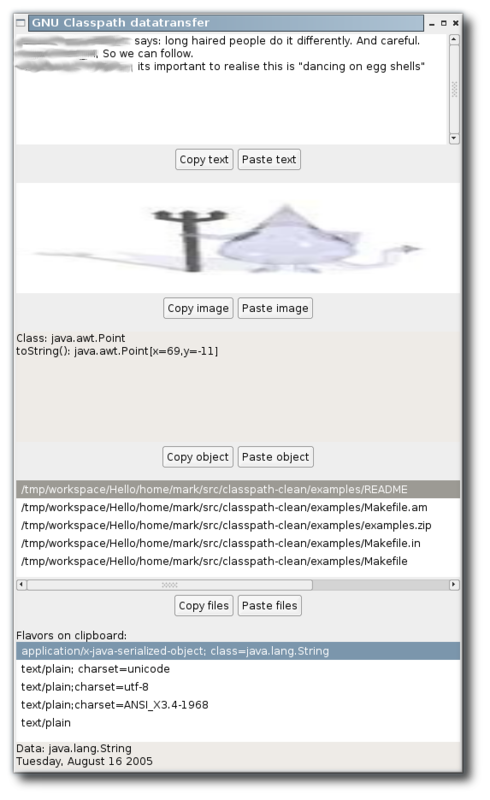 That is some text copy/pasted from xchat, an image from gimp, a Serialized object from another program and a file list from eclipse. It is nice to have all these programs interoperate so nicely with our awt.datatransfer.